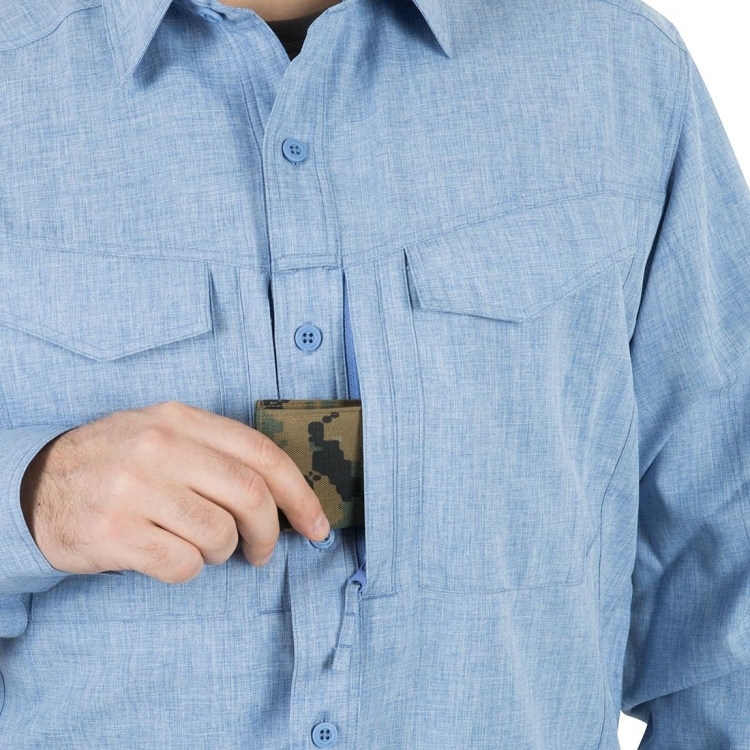 Helikon-Tex Defender Mk2 Gentleman shirt. Made of light, elastic polyester fabric. 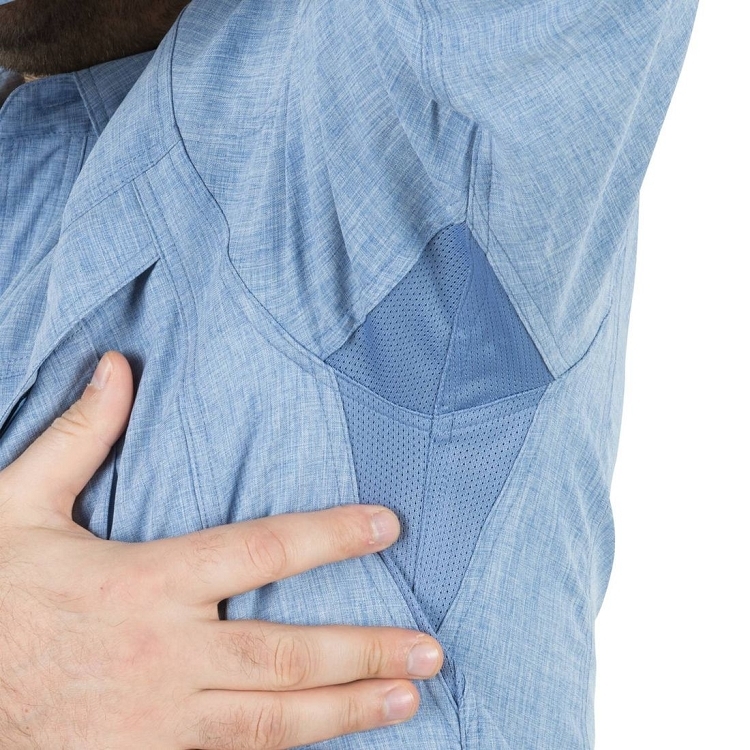 This fast-drying fabric provides adequate breathability, and the UPF30 index provides adequate protection against UV radiation. Fastened with buttons. 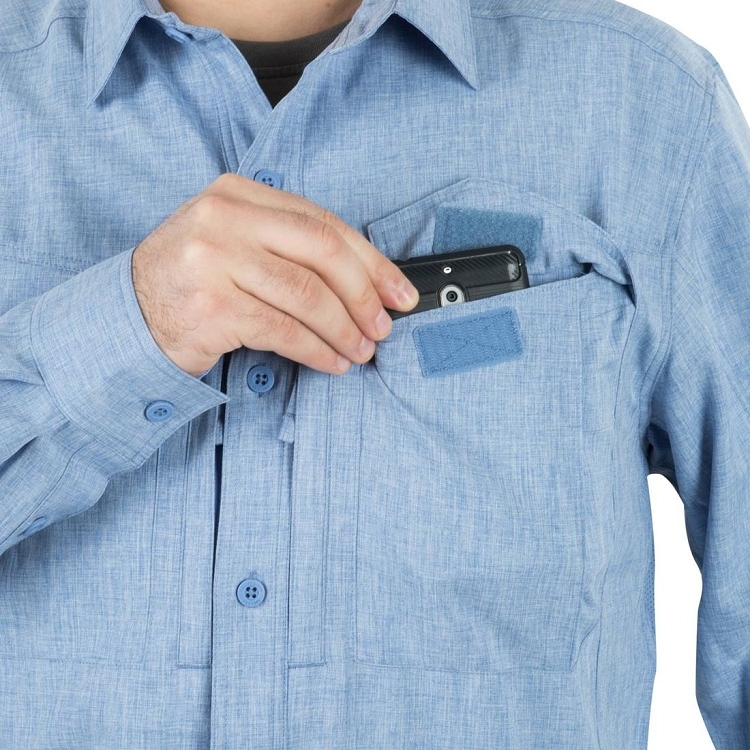 At chest level, pockets fastened with velcro flaps and under them additional flat pockets with YKK zippers. 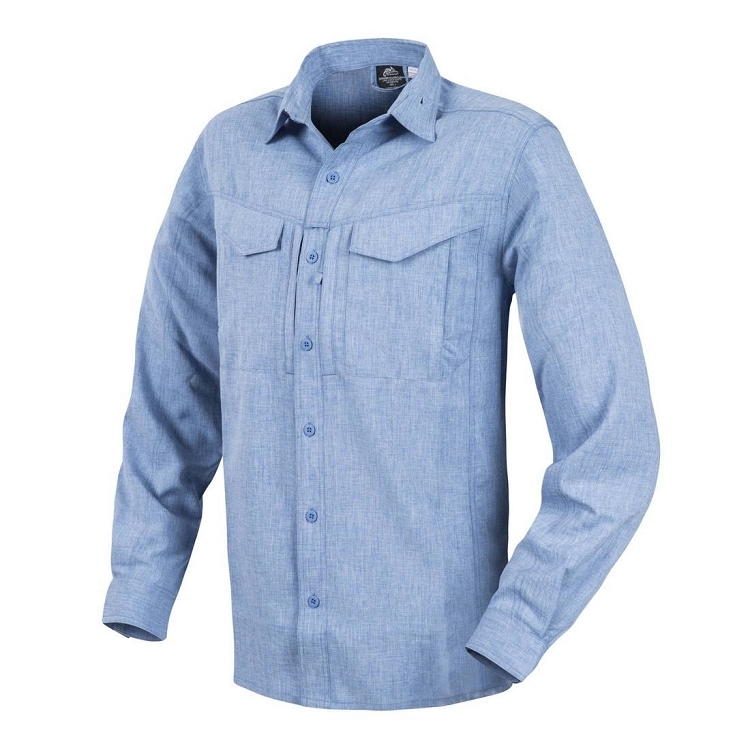 The elegant shirt pattern will work on almost every occasion, both for jeans and more sophisticated clothing.